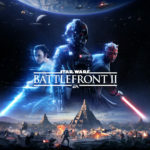 The July 2016 release of the new Star Wars story, Battlefront 2: Inferno Squad, by Christie Golden, has cemented one thing for the worldwide Star Wars fan: Lucasfilm and Del Rey Publishing are taking the novelization of the franchise seriously. Never mind the fact that the book is a tie-in to a video game, this entry into the Star Wars literary universe holds its own in the sci-fi book stacks. Readers need not worry about the “2” in the title. This book begins by introducing a new character in a familiar Star Wars plot. It isn’t a sequel, but rather a retelling of the most significant happening in Galactic Mythology from the perspective of a dedicated Imperial warrior. Iden Versio is a crack pilot that wields a TIE Fighter like a giant scalpel. Her family pedigree, the daughter of a high-ranking Imperial admiral, have no impact on her rank or talents. Those have all been hard earned. None of her training has prepared her for the title she now bears as one of the few survivors of the terrorist bombing of the Death Star. 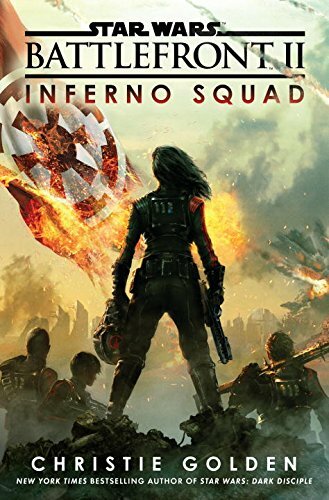 Post explosion, she is tasked with leading the Inferno Squad on a mission to cauterize an Imperial leak that is feeding vital locations and events to the now-serious threat posed by the Rebel Alliance and their less-than-noble offshoot, the rogue partisans formerly known as Saw Gerrera’s Dreamers. Embedded as spies, Iden and her team face the deadly challenge, knowing that failure could lead to their own death and worse — further damage to the Empire. Iden is presented as a ruthless zealot to the cause. Time and again I was hoping for a bit of softening, maybe even sympathy as she found common ground with Saw’s former agents, but time and again I was let down. That isn’t to say that Iden isn’t fleshed out as a character, rather that I didn’t understand that this isn’t a feel-good Star Wars tale. Versio believes wholeheartedly in the cause of universal dominance and that peace will only be obtained once the Empire is victorious. It is completely, 100% a story for fans that want to understand what it must be like to believe in and serve the Empire and its mysterious, eccentric Emperor. 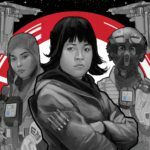 Tying into the vast world of Star Wars events, Inferno Squad holds its own ground as a sci-fi without relying on too much of the strength of previous Star Wars stories. The link to the Death Star’s destruction, the vehicles, some basic terminology and the existence of the Empire and the Rebel Alliance are pretty much the only descriptors that make this a Star Wars book. For this, I applaud author Christie Golden. She succeeds in the effort of expanding the Galactic Mythology without leaning on past conventions. Yes, there is mention of the following: Death Star, Darth Vader, Emperor, Princess Leia, the Empire & Rebel Alliance, Saw Gerrera. Without naming Galen Erso (head architect and inventor of the Death Star and its death ray), he is blamed as a traitor. But these vital figures are not used to build up the story, rather they are mentioned in passing. Of course, they are important to a Star Wars story, but Golden does not use them to prop up her own adventure. 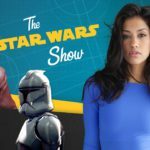 Too often in major adaptations of large franchises, the stories do not hold their own water without those major actors, but Golden defies the odds and presents new characters and a unique story that adds to the expansive Star Wars universe. This success should come as no surprise to Golden’s fans. Established in the world of sci-fi, she seems to be a go-to expert in the area of adapting major franchises into novelizations. Star Trek, StarCraft, World of Warcraft, and Assassin’s Creed have all benefited from her pen and perspective. Star Wars fans may recognize her as the author of several Fate of the Jedi tales. Together with numerous other authors, Golden continues the very excellent history that LF and Del Rey have when it comes to selecting authors for their books—to find legitimate, practiced writers that will add value to the franchise. By way of analysis, Iden is such a hardened war vet that I had a tough time relating to her. 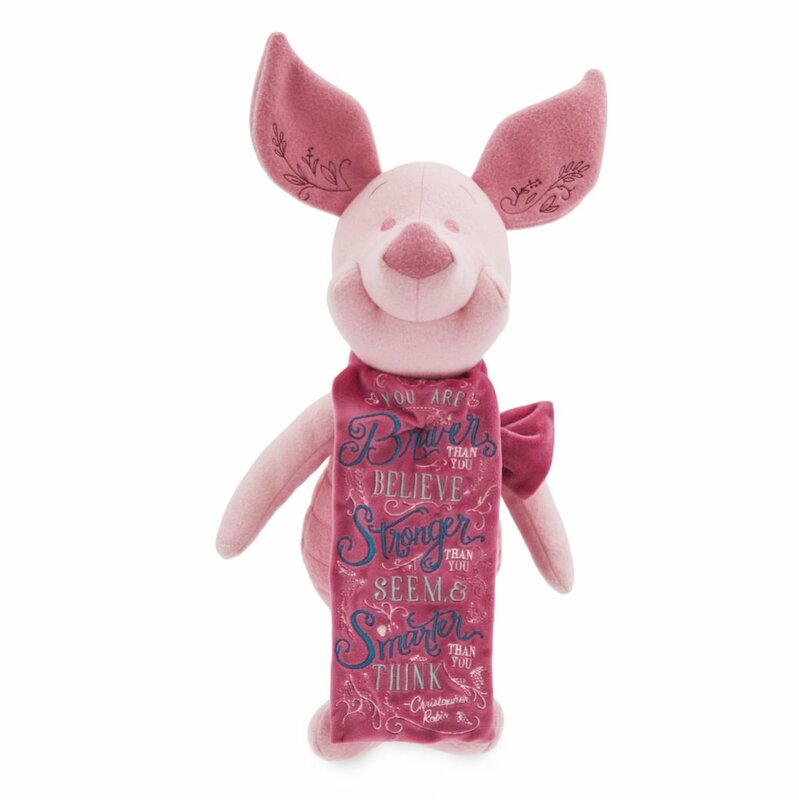 I had expectations going into the book that she would soften as the story goes on. Maybe I was culturally predisposed to expect this? Maybe past books have made the character arc of a female warrior more malleable? Maybe I feel like the Empire is evil and anyone taken out of its controlling regimented ranks for any amount of time should see that? I don’t know the reasons, and I blame myself, but after Iden’s character arc played out, I felt like she hadn’t learned much about the galaxy. Golden throws a small bone to the reader suggesting that maybe Iden was able to expand that view…but it is so small as to almost be missed. Also, the placement of the bone-toss was in the Epilogue, a place that seldom holds much significance to the character arc. If feels tacked on, and if it had been a true measure of Iden’s change, I feel like it would have been better placed within the body of the story. All said, I devoured Star Wars: Battlefront 2 — Inferno Squad. 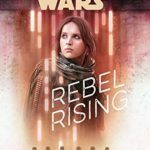 It felt like a very worthy entry into the world of Star Wars and offers something new as a perspective on an Imperial devotee that makes no apologies for her allegiance. Author, podcaster, costumer and maker, Ryan has been enjoying Disney, Marvel and Star Wars since his first years of life and is thrilled to be able to pass that passion along to a new audience on LaughingPlace. Check out his award winning novels “The Pirate Bride” & “The Lost Crew” in bookstore nationwide.